High cholesterol is a problem for many people in the Conroe, Texas area. 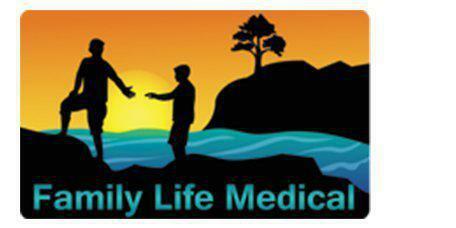 The condition can be managed and even completely reversed with the right medical approach, and Dr. Kyle Scarborough at Family Life Medical is ready to help. Through lifestyle changes and medication on an as-needed basis, high cholesterol can be a thing of the past. High cholesterol means that a person has excessive cholesterol buildup within their arteries. Cholesterol is produced by the liver, and some cholesterol is required for good heart health and good overall health. Cholesterol also comes from various foods, especially fatty and sugary foods. When a person consumes too many of the wrong foods, it can cause a serious rise in the body's cholesterol levels. This, in turn, can have severe health consequences. High cholesterol causes buildup within the arteries, which prevents a sufficient amount of blood from reaching the heart and brain. Without sufficient oxygenated blood, chest pain and even heart attacks could result. A high cholesterol level also means that the patient has a higher risk for stroke. HDL cholesterol is High Density Lipoprotein. This is what’s often called the "good" cholesterol. HDL cholesterol combats the bad cholesterol by taking it out of the blood which allows the heart and brain to get the blood supply needed. The "bad" cholesterol, Low Density Lipoprotein or LDL, is most often found in processed foods or fast foods. LDL is the type of cholesterol that causes health problems like heart attacks and strokes when too much of it is found in the body. What should a good cholesterol reading look like? A cholesterol reading combines both HDL and LDL readings. The total cholesterol number needs to be 200 mg/dL or under for the best health. Patients who have a cholesterol reading of 200-239 mg/dL are in the borderline high cholesterol category and need to start paying attention to their dietary choices. Anyone who has a cholesterol reading of 240 mg/dL or greater has high cholesterol and needs to take steps to reduce their blood cholesterol level right away. What is the solution for high cholesterol? Diet changes can be very helpful, but diet alone may not be the solution. Dr. Scarborough can work with patients individually to help them create a healthy diet and exercise plan, and he can prescribe medications that can help if needed.